^ 1.00 1.01 1.02 1.03 1.04 1.05 1.06 1.07 1.08 1.09 1.10 BIOGRAPHICAL SKETCH OF MRS. HARRY S. TRUMAN. Harry S. Truman Library & Museum. [2016-08-07]. ^ 2.0 2.1 2.2 2.3 2.4 Elizabeth Virginia Wallace Truman. White House. [2016-08-07]. ^ Madge (Margaret) Gates Wallace Papers. Harry S. Truman Library& Museum. [2016-08-07]. ^ David Willock WALLACE. Harry S. Truman Library & Museum. [2016-08-07]. ^ Klapthor, Margaret Brown. The First Ladies. Government Printing Office. 2002-10-01: 74. ISBN 978-0-912308-83-8. 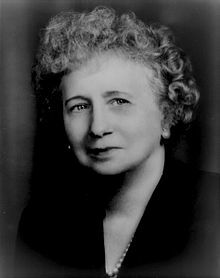 ^ 24,000 Pages of Bess Truman's Family Papers Are Released. The New York Times. The Associated Press. 2009-02-14 [2016-08-07]. ^ Truman Places - 608 North Delaware Street. Harry S. Truman Library & Museum. [2016-08-07]. ^ Bess Truman (PDF). National Park Service, U.S. Department of the Interior. Harry S Truman National Historic Site. [2016-08-07]. ^ Margolies, Daniel S. A Companion to Harry S. Truman. John Wiley & Sons. 30 July 2012: 37. ISBN 978-1-118-30075-6. ^ Christensen, Lawrence O.; Foley, William E.; Kremer, Gary. Dictionary of Missouri Biography. University of Missouri Press. October 1999: 752. ISBN 978-0-8262-6016-1. ^ Watson, Robert P. The Presidents' Wives: Reassessing the Office of First Lady. Lynne Rienner Publishers. 2000: 89. ISBN 978-1-55587-948-8. ^ Burnes, Brian. Harry S. Truman: His Life and Times. Kansas City Star Books. 1 November 2003: 34. ISBN 978-0-9740009-3-0. ^ Wertheimer, Molly Meijer. Inventing a Voice: The Rhetoric of American First Ladies of the Twentieth Century. Rowman & Littlefield. 1 January 2004: 212. ISBN 978-0-7425-2971-7. ^ Neal, Steve. Eleanor and Harry: The Correspondence of Eleanor Roosevelt and Harry S. Truman. Kensington Publishing Corporation. 2004: 259. ISBN 978-0-8065-2561-7. ^ 15.0 15.1 Algeo, Matthew. Harry Truman's Excellent Adventure: The True Story of a Great American Road Trip. Chicago Review Press. 1 May 2009: 226. ISBN 978-1-56976-251-6. ^ Bess Truman Buried - October 22, 1982. The Gettysburg Times. [August 1, 2013].